The ARRB went out of business in September of 1998. Since then the implementation of the JFK Act has been severely downgraded. Records that should be released have not been. Records await processing. And the FBI’s JFK task force seems to be nonexistent now leaving the JFK staff at Archives II to process FBI documents page by page. 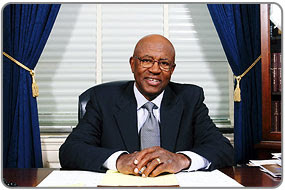 Rep. Edolphus Towns (seen above) is the chairman of the Committee on Oversight and Government Reform and as such he has jurisdiction over the National Archives and the implementation of the JFK Act. Chairman Towns introduced legislation January 6, 2009 to overturn Executive Order 13233 issued by President George W. Bush and restore procedures to ensure the timely release of Presidential records. So, he has demonstrated an interest in declassification of government documents and the timely release of records. I believe he can be a friend and invaluable asset to the JFK assassination research community. We need Rep. Edolphus Towns to convene a congressional oversight hearing on the implementation of Public Law 102-526, “The JFK Act,”to judge the performance of NARA and the intelligence agencies in the decade since the ARRB sunset. We call upon Rep.Towns to listen to the testimony of respected JFK assassination researchers and to hear our complaints. 1.) The George Joannides Case This is a clear example of obstruction of justice, a felony, and of the blatant disregard for the ARRB's compliance program. From the ARRB's Final Report, "The Review Board compliance program was established to ensure that all federal agencies holding assassination records would warrant under oath that every reasonable effort had been made to identify assassination records and that such records had been made fully available for review by the Board. The Board has remained concerned that critical records may have been withheld from the Board's scrutiny and that the Board did not secure all that was "out there." It is all too easy to imagine that agencies and agency personnel not inclined to cooperate might simply have waited, using the JFK Act's sunset provision by waiting for it to take effect and ending the need to cooperate. The Review Board's solution to this concern was to develop a compliance program in which each agency designated a "compliance officer" to warrant, under oath and penalty of perjury, that records had been diligently searched for and turned over to the Board for review and/or release to NARA. This program entails a detailed review (overseen by Review Board staff) of the effort undertaken by each agency in pursuit of such records and constitutes a record to guide future researchers in examining what assassination records were actually uncovered. The program is also intended to be forward-looking, so that the agencies will continue to follow the provisions of the JFK Act after the Board terminates its role. The program has worked well." Well, until people learned about George Joannides. George Joannides worked for the CIA in the 1960’s. He had contacts with the anti-Castro Cuban group, known as the DRE, Directorio Revolucionario Estudiantil, or the Cuban Student Directorate. In August 1963, the DRE in New Orleans had several encounters with Lee Harvey Oswald. In one instance Oswald had a street scuffle with Carlos Bringuier, who was in charge of the New Orleans DRE’s publicity and propaganda, leading to Oswald being arrested. There was also a famous radio debate between Bringuier and Oswald. It is unknown if Joannides had any direct contact with Oswald. 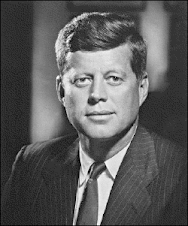 After the assassination of President Kennedy on November 22, 1963, the DRE held a press conference on Oswald's activities and calling him a Communist. In the 1970’s when the House Select Committee on Assassinations investigated the assassination of JFK the CIA brought Joannides out of retirement to act as their liaison with the committee. But the CIA never informed the HSCA about Joannides background with the CIA, or his work with the DRE. He was presented as this kind of extra clerk that the CIA could send over. In the 1990’s the Assassination Records Review Board (ARRB) an agency empowered to compel the release of assassination records did not know of George Joannides background either. Jefferson Morley has written about George Joannides many times. 2.) The Problem of Inter-filling, how material is being declassified and released with little or no notice and just filed within the collection. Researchers may think they have copied the entire contents of a box only for something new to be placed in that box that they will never discover without going into Archives II and reexamining boxes. This would mean bringing back in what you copied, getting those stamped and initialed so that you can bring them back in, and doing a document by document comparison. What we need is a list inside each box detailing the contents of that box listing the documents by Reader Identification Form (RIF) #, and Agency File Number, how many documents, and how many pages. And if anything has been added since 1998 what and when. 3.) The Problem of the Failure to Implement ARRB Recommendations. Recommendation #7c "that a joint oversight group composed of representatives of the four organizations that originally nominated individuals to serve on the Review Board be created to facilitate the continuing execution of the access provisions of the JFK Act." This never happened. Further, "The Board recommends negotiation of a memorandum of understanding among NARA, the FBI, and the CIA that would establish a common agreement on how to resolve the inevitable issues concerning the extensive assassination records of these two agencies. This is particularly necessary since additional records will be sent to NARA and additional releases of documents are scheduled to take place after the termination of the Review Board. 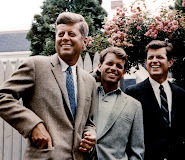 The formation of a liaison group composed of individuals from professional organizations that originally nominated members for the Review Board to oversee implementation of the provisions of the JFK Act would ensure the continuing representation of the public interest by those trained to understand continuing historical, archival, and legal issues." Where is the representation of the public interest? The ARRB is gone, but the JFK Act still exists. 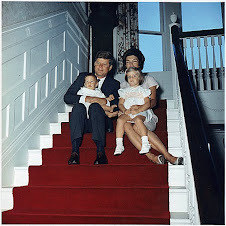 There is no supervisory body to ensure proper implementation of the JFK Act. This is congress' responsibility. But, no hearing has been held since the ARRB sunset in 1998. Maybe new legislation is needed. The Board wrote in its final report, "Other federal declassification efforts, especially at NARA, need substantially more resources if they are successfully to accomplish their mandates. The work of the Review Board staff shows what adequate funding can achieve." Maybe at this hearing we should call for the creation of funds to help offset the costs of declassifying JFK assassination records. 4.) The Problem Of Postponed Material That Should Now Be Released. In some instances the ARRB did not release documents. In some instances they decided to postpone the release of a document. In some instances they released a document but postponed the release of some information contained within the document. In some instances these postponements cited a date whereby the document should be released in full, or the previously postponed portion of a document should now be open. They ARRB were precise in this. There is a lot of documentation and specific RIF numbers given. I could give specifics for the documents in Batch 1 through 13. So, if I could come up with examples of things that should have been released but were not then that should show that no one is paying adequate attention to the Act and why congressional oversight is needed. 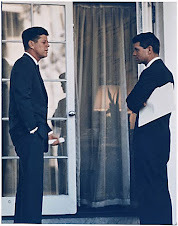 I will work on this based on the JFK records I have, and I hope to visit Archives II to see if postponed material and postponed documents have been properly released. But, this will take a great deal of time. 7.) The JFK Records Collection has been downgraded within NARA. It is now a very low priority. Who is in charge of the collection now? 8.) There are missing transcripts from that Church Committee files, and missing staff notes. Again, Malcolm Blunt has informed me about this. There is a chance for congress to get involved and hold a hearing to motivate the intelligence agencies and NARA to do what they are legally required to do and to honor the agreements made with the ARRB. We've got a law and it's on our side. We can demonstrate what they are required to do, we can show that there were agreements made with intelligence agencies, like the FBI, for example, that are not being fulfilled. Now that the ARRB is gone it is the responsibility of congress to be the watchdog. I am working with Debra Conway, Bill Kelly and Malcolm Blunt, and hopefully others. I will keep you informed on this blog of our progress. Those wishing to help with this endeavor please email me. Please also consider a small donation. Thank you.